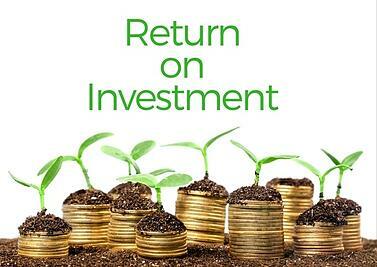 This magic number of dollars to return on investment is simply about profit margins and the bottom dollar. When in fact, ROI can actually be much more complex than this. At Xybix, we are a family-run business, and we see your investment differently. This is not the stock market; we don’t solely measure ROI based on numbers. Our business is about people. Your people are your number one investment, so investing in them will earn the biggest rewards and ROI for any government agency. Look into proven ergonomic solution. Don’t cut corners. I’ve seen new consoles that move from sitting to standing in such a slow manner that they just never get used in the real world. Dispatchers don’t have that time to wait. If the user doesn't take advantage of being able to adjust their stations, they are not getting a return on the investment. Monitor arms are another thing to keep in mind. If the short users can’t reach them, they end up using them in the wrong position. If it takes a few minutes to get each one wiggled into the right place, they won’t get used. This leads to yet another bad return on your investment, as buying expensive consoles is pointless if they are too cumbersome to fit the users. Antimicrobial surfaces help promote better ROI for any center. Who would not want to reduce the spread of colds, flus, germs, and bacteria? Fewer sick days benefit the bottom line, and investing in the dispatchers’ health shows them that you value both their well-being and their time at work. 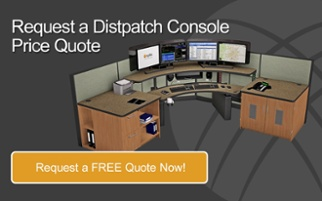 It is amazing the difference it can make when you give your dispatchers the ability to control their environments with their consoles. It leads to better job satisfaction, which should be a main priority in this industry. I know that consoles are a small part of keeping your investment happy; decent pay, flexible hours, and consistent appreciation are just a few of the other key elements to seeing a strong ROI. Hiring and keeping great dispatchers only gets tougher day by day, so that's why Xybix takes extreme pride in doing any little bit to help you keep your team comfortable.